Ok, so I'm not really saying you need to get up close and personal with your poop to understand why you're anxious. What I am saying is that it's worth your time to be conscious of what's going on within your intestinal tract, which I will lovingly refer to as your gut from this point on. If you're human, you have likely felt the grips of anxiety at some point in your life. Even if it was just because of ongoing test anxiety...or knowing that there was a chance that you could get laid off from work. Regardless of what your scary scenario may have looked like, chances are you have felt the physical symptoms and mental distress of feeling anxious. But sometimes everything in your life can be alright, or at least okay, and you still can't shake that nagging feeling that something awful is about to happen. Decades of research about cognitive behavioral therapy (CBT) show a clear relationship between what we think and how we feel--but, what if there were more to it? Like, creepy little critters living in your bowel. We all know about the brain in our heads, but did you realize that we actually have a "second brain" in our digestive track?!? It's called the enteric system and it's responsible for producing those lovely neurotransmitters like serotonin and norepinephrine that contribute to our level of happy OR anxiety and depression. In fact, researchers are learning tons more about gut health and how the proper balance of friendly bacteria can absolutely factor into your overall happiness. So, why might my gut bacteria be jacked up and all out of balance? Well, I'm so glad that you asked. Diet- Processed foods tend to disrupt the fine balance between healthy and unhealthy bacteria and yeast in your gut. Your best bet is to stick to a whole foods diet, meaning it's not in a box on the shelf in the grocery store and more than likely, it's not from a fast food restaurant. Antibiotics- Oh, where would we be without antibiotics? They're great for serious infections that wouldn't heal on their own otherwise. But we all know, that until recent years, antibiotics have been over prescribed in many instances, causing some people to be resistant to their beneficial effects and wreaking havoc on our gut. Remember, antibiotics aren't just killing the bacteria that are making you feel bad...they're out for eeeer bacteria in your gut--good or bad! And we need the good bacteria! NSAIDS- AKA Non-steroidal anti-inflammatory drugs...You know, like Advil, Motrin. Yes, they make you feel better. Your headache or any ache in your body is wiped out and you're feeling good. But did you ever notice that the bottle suggests that you take these medications with food and that you don't take them over an extended period of time. Now why might that be, you asked? Well because they can cause bleeding in the lining of the intestinal tract. Remember, we're trying to take care of our gut. We want it to be a happy, balanced place, so that we feel good physically, mentally, and emotionally. 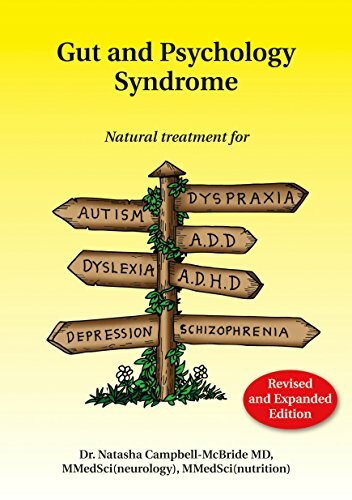 Stress- A completely stress-free life is unrealistic, and at times stress can even be beneficial--however, prolonged, unresolved stress can wreak havoc on our bodies. Eat fermented foods such as kimchi, sauerkraut, pickles, yogurt, kombucha, and kefir. Fermented foods produce their own healthy bacteria aka probiotics, which can help to correct any microbial imbalances within the gut. If fermented foods make you want to gag, or if you're trying to stay away from dairy, you may want to take a probiotic supplement. 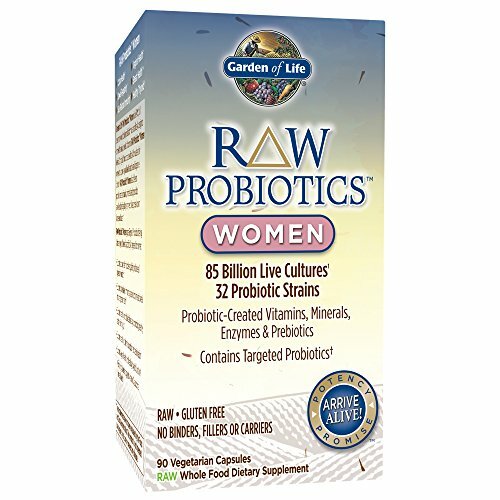 One of my favorites (shown below) is Garden of Life Raw Probiotics for Women. In addition to providing over 85 Billion live cultures, this particular product also contains vitamins, minerals, enzymes, and prebiotics (the short definition--prebiotics create an optimal environment for the growth of good bacteria). Even if you're one of my male readers, you can't go wrong with the Garden of Life brand. Sometimes, I change things up and try other probiotics just to see which bring the most personal benefits, and so far, I like this brand the best. I mean, as good as it tastes, when has sugar ever really been good for us? Think of it this way--fermented foods and probiotics are feeding the good bacteria, while sugar is feeding the bad bacteria. It's hard to eliminate sugar all together, but being mindful of your sugar intake will allow you to better manage the health of your microbiome. How are your eating habits? Are you getting enough fruits and vegetables? What about water? Did you get enough sleep last night? What about your stress level? Are you taking time out to do things that you enjoy? Exercise, proper rest, eating right, and stress reduction all contribute to a healthy gut that is conducive to the maintenance and production of healthy bacteria. Remember, it's not one of area of your life that makes you healthy. It's all of these areas integrated, working together collectively. 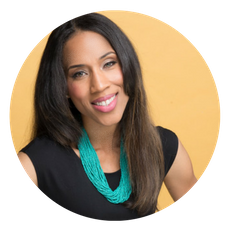 Check out my self-care guide! 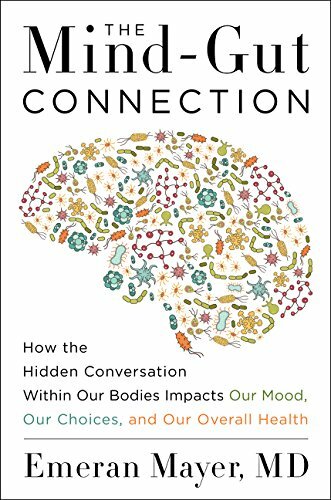 Have you noticed a gut-health/mood connection in your own life? We'd love to hear about it. Share in the comments below!